This guide explores how you can vote with your feet (and wallet) to support ethical wildlife activities on holiday. But you might still witness examples of animal cruelty while abroad. Never underestimate your power as a tourist to help force the travel industry to change its ways. 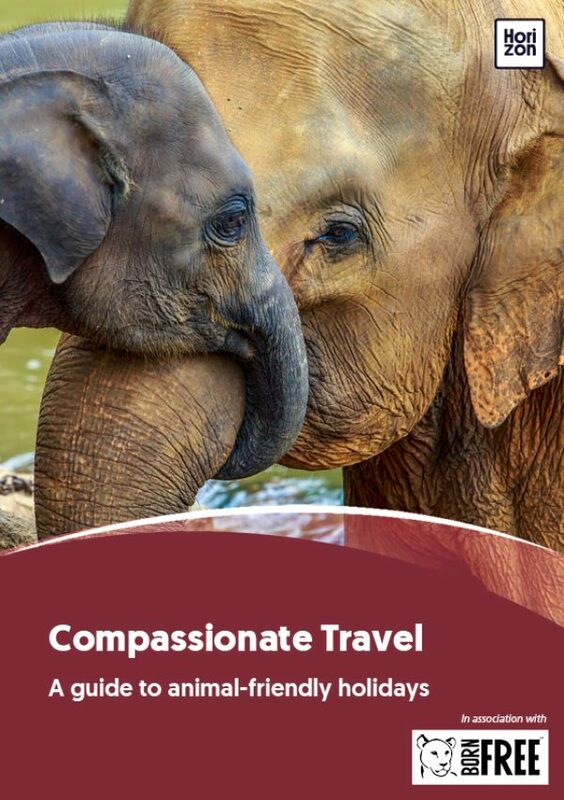 In addition to making responsible choices, there are a number of practical things you can do to help combat animal cruelty in the tourism industry. Eye-witness reports about wild animals in captivity provide Born Free with invaluable information. If you visit a zoo or other captive animal facility and see poor conditions, cruel treatment or strange behaviour, or if you encounter animals being exploited in a circus or show, you can report it to Born Free. You can also help by raising your concerns with numerous points of contact. UK residents can find the details of the relevant country’s Embassy or High Commission on the website of the Foreign and Commonwealth Office. Here you will find a link to the London Diplomatic List, which provides the details of country representatives in London, the name of the Ambassador Extraordinary Plenipotentiary or the High Commissioner, and the postal and/or email address of the embassy. Non-UK residents can find the details of the relevant country’s Embassy or High Commission in your home country at www.embassy-worldwide.com. For UK residents – The National Tourist Office for many countries can be found on the website of The Association of National Tourist Offices and Representatives (ANTOR). For both UK and Non-UK residents – The Tourism Authority based in the country concerned can be found on the website of the World Tourism Organization UNWTO. It is important that they hear directly from concerned customers and tourists. Many places state that ‘they never receive any complaints’, so please make your concerns known. They are obliged to investigate your concerns involving animals seen on an excursion or at a hotel or facility booked through or promoted by them. This should also ensure that animal welfare remains an important issue on their agenda. Tell them about your experience and concerns. Sending them accompanying photographs may also spark an interest from the media. Effective letters or emails are short and concise. 300 words should be adequate to relay your comments and concerns. Be specific about why you are writing and what concerns you. Remember that you visited a country to have a wonderful experience or you have perhaps paid an entry fee or bought a ticket, you therefore have the right to raise your concerns about the welfare of animals you have encountered. What you have personally witnessed: what animals you saw or are concerned about. Where you saw the animals, the name of the facility/attraction, location and country. Describe the sort of conditions they were in or how the animals were treated. Explain if the animals were being made to perform tricks and what they were doing. Describe your feelings at the time. Ask direct questions that require an answer, such as: can you assure me that my concerns will be investigated? Are you aware that this treatment is going on? What are the laws concerning the welfare of animals in zoos or circuses etc? If you took photographs you could include some with you letter or email. Always be polite and courteous. You are less likely to receive an answer if you rant or are rude. You want the people that you are writing to, to listen and take you seriously. Also send Born Free copies of any replies you receive - by email (zoocheck@bornfree.org.uk) or in the post to the UK office (marked FAO: Captivity Programme).